Ginger, known botanically as Zingiber Officinale, is a perennial plant of the Ginger family. Its main habitat is the South of Asia and India, where it has been used as a medicine since ancient times. Apart from Asia and India, it is cultivated in other warm places such as Jamaica. Although the green leaves of ginger can be eaten in salads, its characteristic rhizomes are the part which is widely used as a spice or for medicinal remedies due to the therapeutic properties. The rhizomes aren’t exactly its root, but its underground stem. They have a firm, striated texture and a brownish skin whose thickness increases with time (i.e. mature ginger has thick skin whereas young has very thin skin). The flesh of the rhizome can be yellow, white or red depending on the variety. Its taste is aromatic, pungent and hot. Ginger has remarkable therapeutic properties. Firstly, it helps to alleviate symptoms of gastrointestinal distress. The reason is that ginger promotes the elimination of intestinal gas and relaxes and soothes the intestinal tract. As a result is rid the stomach and intestines of gas, relieves the feeling of nausea and reduces flatulence. 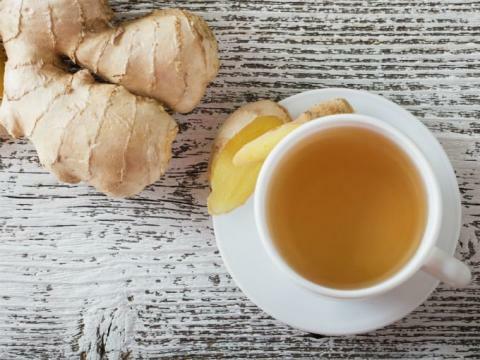 In addition, ginger is beneficial for digestion as it improves the absorption and assimilation of essential nutrients and helps break down the proteins. Bad cholesterol (LDL) can be reduced with ginger because it reduces cholesterol absorption in the blood and liver. 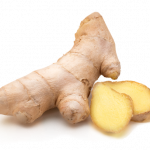 Secondly, ginger is useful to treat inflammation because it has anti-inflammatory effects and it can inhibit the formation of inflammatory compounds. It can help chronic inflammation as it makes the inflammatory process work properly and then disappear. Moreover, its anti-inflammatory properties relieve aching muscles and joints. 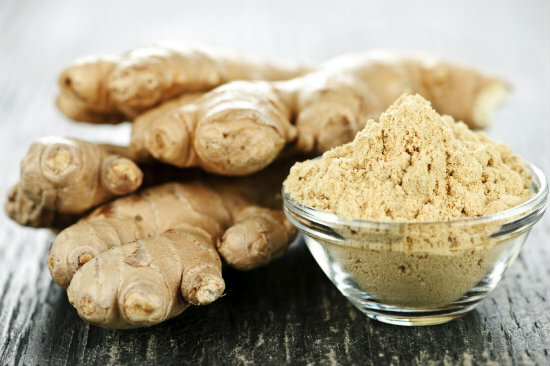 Thirdly, ginger helps treat high blood pressure by stimulating the blood circulation. It relaxes the muscles surrounding blood vessels and smoothes the flow of blood. It also clears the microcirculatory channels of the body, including sinuses. Lastly, this natural ingredient is rich in antioxidants and active substances. It helps the immune system as it promotes healthy sweating, which helps you get over cold and flu. This medicinal plant is an alternative medicine to combat a variety of diseases and conditions. As regards to its gastrointestinal properties, it can be used to treat loss of appetite, nausea and vomiting after surgery, nausea resulting from cancer treatment, flatulence, stomach upset, colic, morning sickness and motion sickness. Its anti-inflammatory compounds help ease and reduce the pain from osteoarthritis or arthritis-related problems when ginger is consumed regularly. It can also be used to boost the immune system and treat hypertension. Try to use fresh ginger instead of dried or powdered ginger of the spice because fresh ginger contains higher levels of gingerol (its anti-inflammatory compound). Its taste is stronger. Fresh ginger rhizomes must be stored in a cool, dark and dry place. Use within 2 to 3 weeks. Brewed as a tea, it is good to treat nausea, cold, and flu. Cut ginger into 6-7 thin slices. Heat water and stir in the slices. Cover the pot and simmer on low heat for about 10 minutes. If desired, add lemon or a sweetener. Remove the slices and drink the remaining liquid. You can eat the slices after drinking the tea. Grate some ginger and put it in your juicer with carrots, apples and some lemon juice. To ease joint pain, take advantage of its anti-inflammatory properties and pour some ginger oil in your bath. 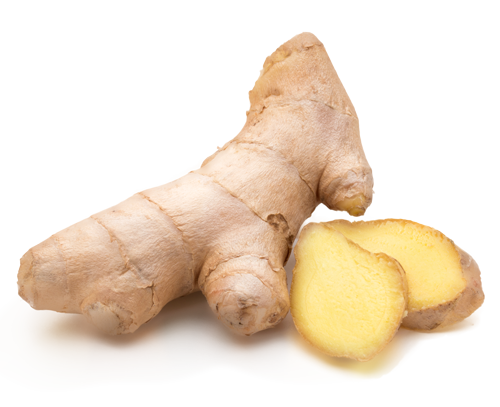 Use fresh ginger to spice up your dishes or add some ginger slices and cook them in your meals.